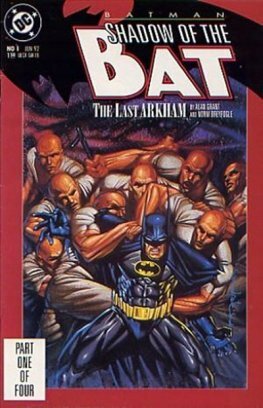 Batman: Shadow of the Bat was a comic book series featuring Batman, published by DC Comics. 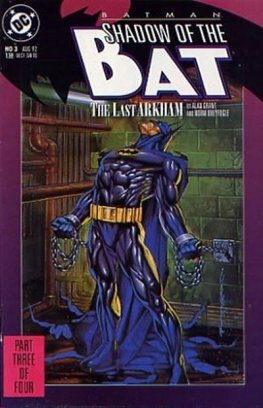 The series ran for 96 issues, from 1992 to 2000. The stories took place in Batman's then-current continuity along with Detective Comics and Batman, in contrast to Batman: Legends of the Dark Knight, which focused on Batman's early years. Shadow of the Bat looked into the psyche of the various cast members of the Batman comics.